The Self-Actualizing Cosmos: The Akasha Revolution in Science and Human Consciousness is Ervin Laszlo’s latest refinement and elaboration of his Akashic paradigm and worldview. In it he reasons for a revolutionary scientific paradigm, clarifies his conception of a multi-dimensional Cosmos, and relates recent scientific findings, developments, and ideas to his thinking. He also considers current issues and views critical to our survival. Laszlo explains the necessary revolution in science which the new, Akashic paradigm enables. He points out the shortcomings of the prevailing scientific worldview which fails to account for significant, anomalous scientific findings, including: phenomena of non-locality and entanglement, transcending the bounds and limits of time and space; the form and level of coherence in complex systems, manifesting a cosmic unity and oneness; and the existence of organic molecules in stellar processes, ejected into space, coating asteroids and other stellar bodies with the precursors of life. As he has done in previous books, Lazlo visits numerous philosophic topics and integrates dialogs with colleagues on topics impacted by the Akashic paradigm. Included are chapters on perception, health, freedom, and the good; questions and answers on the Akashic paradigm; and comments from leading thinkers and scientists, including Edgar Mitchell, Stanley Krippner, Depak Chopra, and Ken Wilbur. Since publication of The Self-Actualizing Cosmos, Ervin Laszlo had been interviewed numerous times. Noteworthy is a 25-minute interview, available online, conducted by David Gibbons in March, 2014. It provides a good introduction to the book and Laszlo’s Akashic perspective of the Cosmos and related issues of our time. Previews of the book are available online (Amazon Kindle, Google Books). Laszlo’s paradigm of a self-actualizing Akashic Cosmos is both a resonant and coherent echo and a scientific amplification and enhancement of ancient, perennial wisdom. It’s the revolutionary worldview science needs to comprehend and explain, fundamentally and more fully, the origins and manifestations of our existential reality, and to resolve the dilemma of survival in our complex, contentious, and divided world. It also provides a foundation upon which the noetic triune is grounded. 1. Laszlo, Ervin (2014-03-02). The Self-Actualizing Cosmos: The Akasha Revolution in Science and Human Consciousness (p. 7). Inner Traditions/Bear & Company. Kindle Edition. 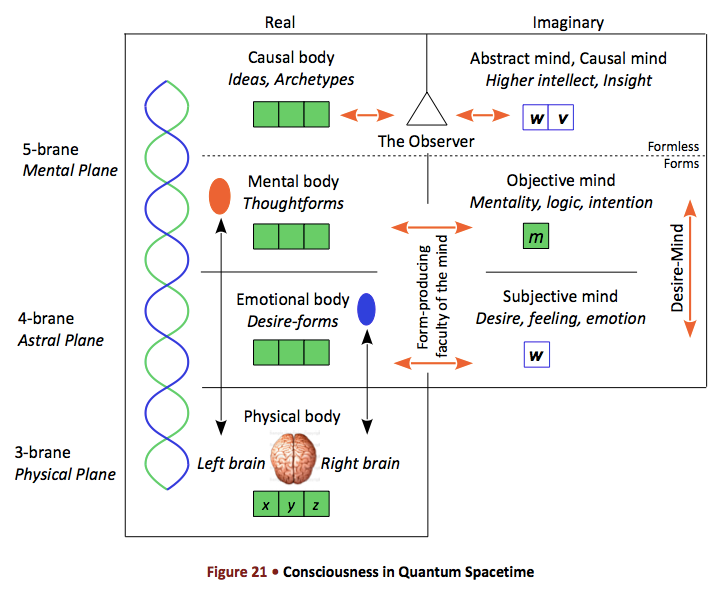 This entry was posted in Cosmic Order, Worldviews on July 26, 2014 by Tom Nielsen, EdD.